A quick maintenance check will ensure a safe, enjoyable ride for you. Brakes should stop the bike when pushed forward or pulled backward. Brake levers should stop short of reaching the handlebar when pulled. The chain should move freely, be free of rust and lightly oiled. 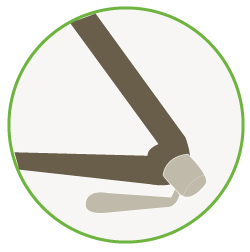 Quick releases (the levers that clamp the wheels to the frame) should be engaged and tight. 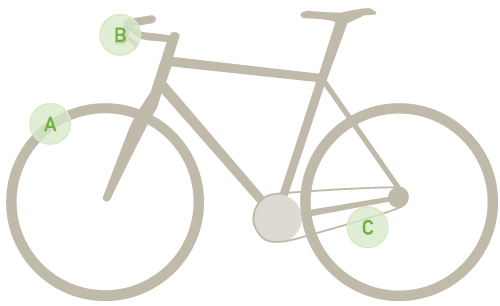 The lever should be curved into the bike and the word “close” will be visible when secured in the proper position. The strength of your whole hand should be required to release the lever. Lift the bike an inch or so off the ground and drop it to identify loose parts that may need attention. Want to learn more? Feel free to print out our Everyday Biking Guide.